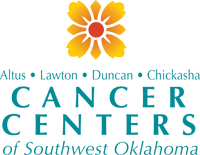 The Cancer Center of Southwest Oklahoma is open Monday through Thursday from 8:00 a.m. to 5:00 p.m. and on Fridays from 8:00 a.m. to 3:30 p.m. We are not scheduling patients on Thursdays. If you have an emergency during off hours please either call the Grady Memorial Hospital operator at (405) 224-2300 and ask for the Oncologist on-call, for your physician, or go to your local emergency room. A physician's referral is required to make an appointment. At this time, the Cancer Center offers office visits with a board-certified hematologist/oncologist and we anticipate gradually expanding the available services in the months to come. Patients have the choice of going to Duncan or Lawton to receive treatments. Complimentary transportation is available to patients upon request. Each new patient, upon referral, is screened for appropriate clinical trial availability. Patients that meet the criteria for an available clinical trial are counseled and offered the opportunity to participate by their physician or one of our research nurses. We are in network with all major insurance providers. If you have a question regarding your specific carrier, please feel free to contact the Cancer Center in Chickasha at 405-222-9222.